EU antitrust authorities opened an investigation into Qualcomm’s (NASDAQ:QCOM) planned acquisition of NXP Semiconductors (NASDAQ:NXPI) on Friday. Qualcomm agreed to buy Netherlands-based NXP for $39 billion in October. The deal is the largest-ever in the semiconductor industry. The newly merged company would hold strong market positions with both baseband chipsets and chips for mobile devices. Qualcomm already supplies chips to Android smartphone makers and Apple. The newly formed company would also become the leading supplier to the automotive chip market. The European Commission listed numerous concerns about the deal, including the combined company’s ability to squeeze out rivals and increase prices. 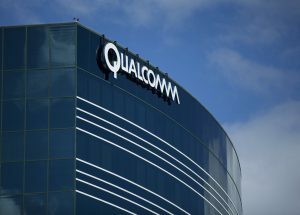 The commission is also concerned that the combined entity would be able to change NXP’s intellectual property licensing practices by tying them to Qualcomm’s patent portfolio. EU antitrust chief Margrethe Vestager said, “With this investigation, we want to ensure that consumers will continue to benefit from secure and innovative products at competitive prices.” The Commission will decide on the deal by Oct. 17. Qualcomm still expects to close the deal by the end of the year. Qualcomm said it was confident of easing the EU’s concerns. However, the smartphone chipmaker may have to offer concessions to address the issues raised by the commission. Qualcomm declined to offer concessions to address the bloc’s concerns in a preliminary review. The commission could still clear the deal without conditions. U.S. antitrust regulators gave the deal the green light in April without requiring concessions from the companies. Ms. Vestager said in an interview in March that she considered the antitrust cases against Qualcomm important cases because of the implications for mobile communications. If it deems any remedies offered to be insufficient to assuage antitrust concerns, it could choose to block the deal. The move opens up another front by the EU against the U.S. chip maker. Most other government investigations so far have focused on its licensing practices. Qualcomm earns most of its profits from charging handset makers royalties for using its cellular patents. In December 2015, the commission formally accused Qualcomm of illegally paying a major customer to exclusively use its chips. The company was also accused of selling chips below cost to force competitor Icera Inc. out of the market.